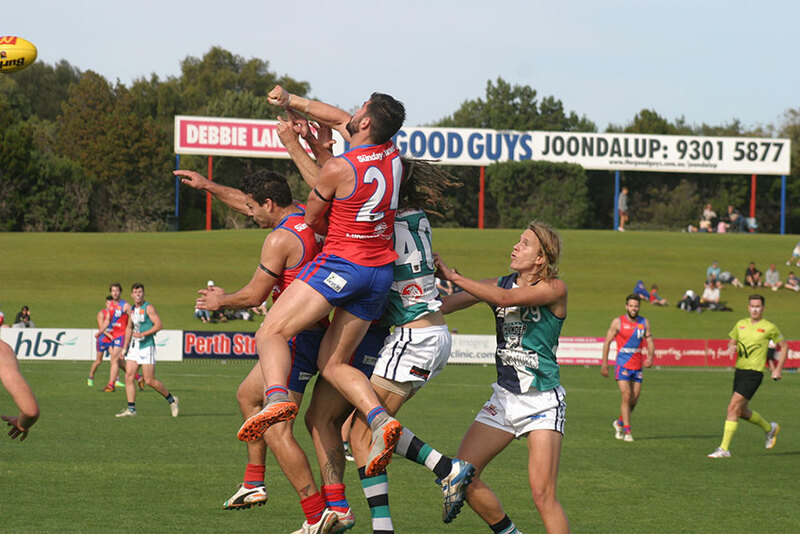 In an effort that surely will attract some sort of reward (or award) I attended both WAFL finals on Sunday – the first half of the strange qualifying final at faraway Joondalup and most of the second half at Leederville where elimination was at stake. Footy can be funny. 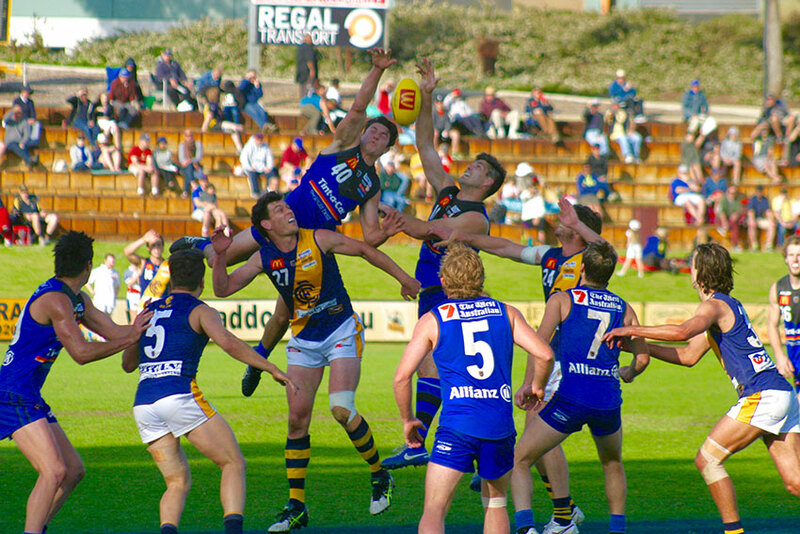 Peel were playing their first ever finals game but were forced to field one of their weakest ever line-ups – even by their standards – because their aligned AFL club Fremantle rested players for the final round and used many who would normally play for Peel. That’s funny enough but what the Thunder did was even funnier – they RESTED inspirational captain Brendan Jones who has played 218 WAFL games without a final and in-form former Carlton defender Josh Bootsma. In a start that mirrored Fremantle’s effort against Port Adelaide the Peel B-team – with many making their WAFL league debut – started well and led by 12 points at quarter time. 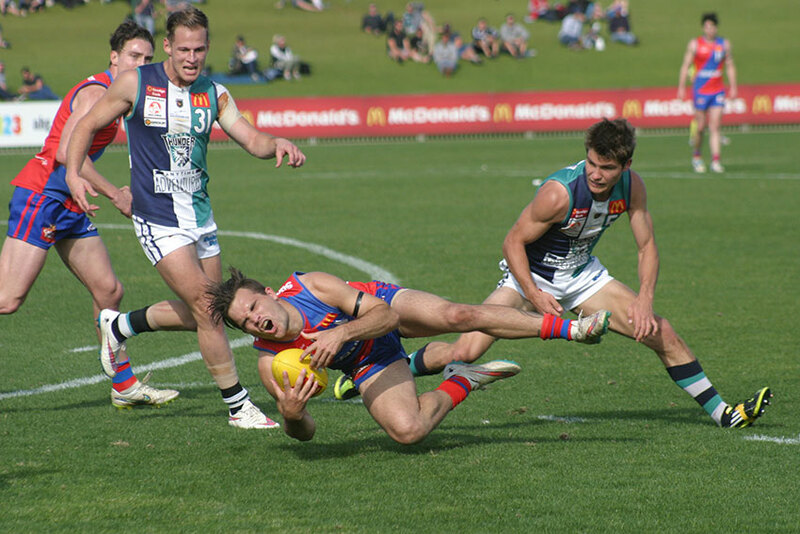 The stronger bodies, better organisation and higher skill level of full-strength West Perth emerged in the second quarter and home team kicked eight goals to none to end the contest. The Falcons didn’t let up and booted nine goals in the last quarter to win by 109 points. Crash: The game did have its share of heavy clashes. Aaron Black was outstanding in the midfield for West Perth as was Rohan Kerr, Marcus Adams was dynamic and dashing in defence, Drew Rohde was steady, Nicholas Rodda kicked four goals, Matthew Fowler was constructive in the forward line and Michael Lourey kicked three goals. Brennan Gillam worked hard for Peel, Craig Moller was very competitive in the ruck, Tom Vandeleur weathered many a storm in defence, Eddie Dann tired hard to create opportunities, Mitchell Gill kicked two goals in a busy effort and Kyle Shanahan made a good debut. Third man up: East Perth’s Tom Barrass rises above ruckmen Mark Seaby (C) & Paul Johnson (EP) at a boundary throw-in at Leederville. The spillage resulted in a goal to Claremont’s second ruckman Mitch Andrews (24). It was tight for the first three quarters at Leederville and when Claremont drew within five points of East Perth at the final break it looked like we were in for a big finish. However the Tigers simply couldn’t raise another effort after a year of catching up and didn’t score in the last quarter while the Royals cruised to a comfortable win. One of Claremont’s big problems was getting the ball out of the centre and the dominance of Paul Johnson and the ball winning capacity of Brendan Lee were major reasons why East Perth was on top in this crucial area. Steven Payne had another outstanding game, Craig Wulff was busy and tough in the forward line, Rowen Powell kicked three goals, Malcolm Karpany was constructive and Garry Moss again used the ball expertly. It won’t do any harm for Claremont to get a finals game under their belts. Matthew Davies was again strong and creative in defence, Jake Murphy worked hard and Beau Maister kicked three goals. Next Sunday the aligned teams Peel and East Perth will meet in the first semi final at Rushton Park in Mandurah and Subiaco will host West Perth in the second semi at Leederville. Peel Thunder came into the competition in 1996 – next Sunday’s game will be the biggest they have played. 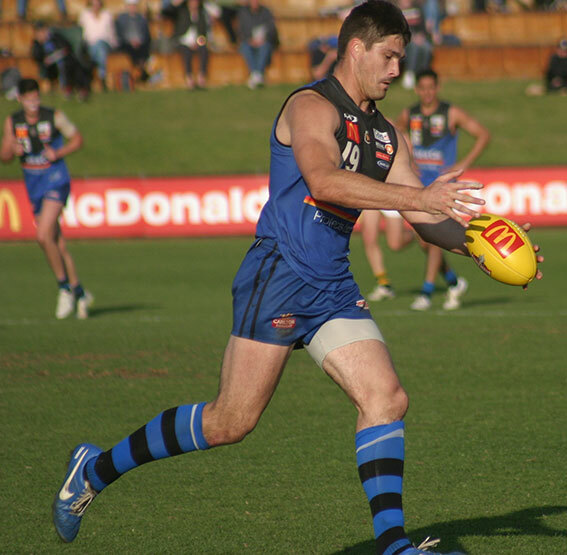 This entry was posted in Footy and tagged Marcus Adams, Paul Johnson East Perth, WAFL finals 2015. Bookmark the permalink.